The claim that “Black Lives Matter” is a way of pointing out that black Americans are especially likely to be brutalized by the police and criminal justice system. How did we get here? I don’t mean: How did Black Lives Matter start? I mean: How did these two phrases come to express disagreement with one another? Some prominent philosophers and social theorists—Judith Butler, Jason Stanley, Chris Lebron, The Funky Academic—have addressed the question. I agree with much of what they’ve said, but I’d like to add my two cents. I think the philosophy of language can help us understand what’s going on, and what I’ve found in some of my research on moral slogans might shed a unique kind of light on the issue. The slogans conceal one central point of descriptive disagreement. Many proponents of All Lives Matter, I think, believe both the (uncontroversial) normative claim and the descriptive claim that all lives matter. They think that we do, in general, care enough about black lives. 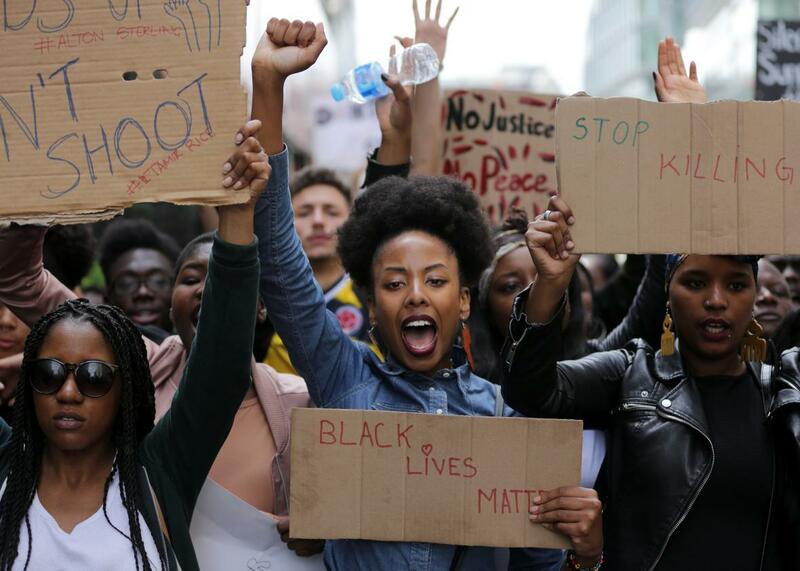 (A recent Pew poll found that whites are significantly less likely than blacks to support BLM and significantly less likely to think that blacks are treated less fairly than whites in a number of different domains. A survey by the Public Religion Research Institute found, incredibly, that 53 percent of Americans think discrimination against whites is as significant a problem today as discrimination against blacks and Latinos.) Ironically, the disagreement is that proponents of BLM think that, in the descriptive sense, black lives don’t matter. In any case, it’s worth a shot. If only there were some tidy encapsulation of the point—preferably one shorter than 140 characters.